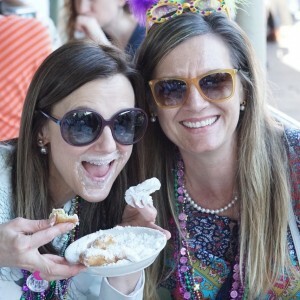 Well, it’s officially over … glitter, sparklers, gluttony, booze and stress. Are you dull and puffy? Bloated and irritable? It’s time to hit the reset button and get clean. Get into a balanced eating regime. You’ve got to Detox Yo ur Body! It’s not as hard as you think. While your liver is the disco queen of detoxification, she becomes sluggish when abused. Toxins back up and cause all kinds of issues that reveal your liver is unhappy. When you over-eat, consume excess sugar, alcohol and don’t get enough sleep, the body’s ability to detox naturally slows — which then sits stagnant in your liver and fat cells. Gross. Drink 32 ounces of lemon water first thing in the AM, which kick starts your metabolism and flushes toxins immediately. Shoot 1-2 teaspoons of Braggs Apple Cider Vinegar. 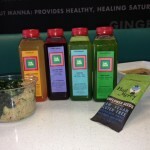 Alkalizing, cleansing, healing. Just do it. Other goodness: powerful herbs and roots like ginger, turmeric, fennel, green tea and peppermint are also huge health boosters and detoxifiers, and New Chapter’s Herbal Detoxification supplements include a little of everything good in this world. Practice 20 minutes of yoga or 10 minutes of meditation. Calm your mind, set your intention and let go of toxic thoughts. DRINK Daily Green Juice. This goodness instantly detoxes your system and energizes your body and soul. You don’t have to be on a juice cleanse to get your daily dose of health-boosting nutrients. Celery, lemon, leafy greens, beets and cucumber are some of the ways to keep your digestive system happy and bloat-free everyday. Find some of these heroes in a Radiant Glow. DUMP dairy, gluten and sugar for seven days. This will accelerate your detoxification, make you lighter, brighter and ready to take on the new year. It will help you make better choices and show you where your demons lie. 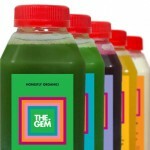 A GEM juice cleanse is a great way to kick start. Do it with a friend and you both get 15% off the cost of our cleanses! At the end of the day, it is about a lifestyle change, not a week or so of regimented consumption. Find things that work for you and add them into your daily life. A healthy routine paves the way to a vibrant future of health and happiness! Need more information and motivation? We can help you get there with our Day In the Life of A GEM Series beginning Wednesday nights this January 13. Our series consists of four small group counseling sessions that reveal step-by-step details of what a healthy day should look like. It’s an amazing group! Learn more about it here. AND … drum roll please! 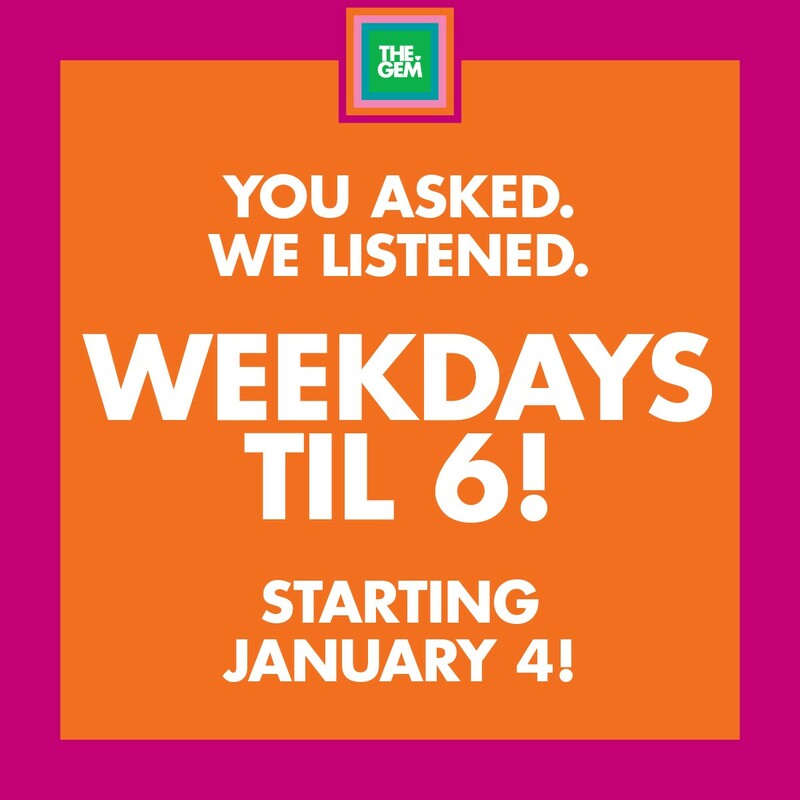 So you don’t miss out on getting your daily GEM goodness, in the new year we are extending our hours to stay open until 6 p.m. Monday – Friday. YEP. WE ARE OPEN UNTIL 6 p.m.
See you at The Gem! This entry was posted in Detox, Food Secrets, Health, Juice Cleanse, Stress, Supplements and tagged all organic, balanced eating, Bragg's Apple Cider Vinegar, clean eating, cleanse, Day in the life of a Gem, Detox, extended weekday hours, green juice, juice cleanse, lifestyle change, meditation, New Chapter’s Herbal Detoxification, The Gem, The GEM Dallas, the gem juice bar on January 1, 2016 by diamondsonyourinside. It’s a New Year. Does there need to be a new YOU? One that has more energy, vibrance and control? 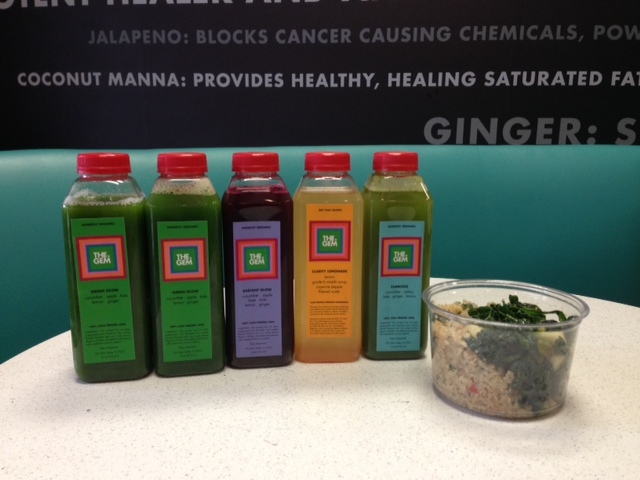 Juice cleanse yourself back to health and lean, clean living! You hear “juice cleanse” all the time. So what exactly does cleansing mean? Generally speaking, it means that you rid the body of the toxins, acidity, sugars and chemicals that cause you to retain weight, crave poor foods and zap your energy. This is done with alkalizing foods and juices that help turn up the body’s detox systems. Often times, this is accomplished with a juice only fast. We’ve seen SO many of our GEMs kick off this new year with our juice cleanses, and they’ve had amazing results. Fasting, too, has many benefits – benefits that are proven over literally thousands of years of experience. Its roots are founded in meditation and achieving mental clarity and focus for so many who practice fasting. However, juice cleanses are not for everyone. Lifestyles are different. Personalities are different. Body types are different. They work out too much, they entertain too much, they just like to chew too much. They want something less intense. That’s OK! You can be amazingly clean and cleansed with food as part of the regimen. It can spark a vibrant lifestyle that you can do everyday for the rest of your life. 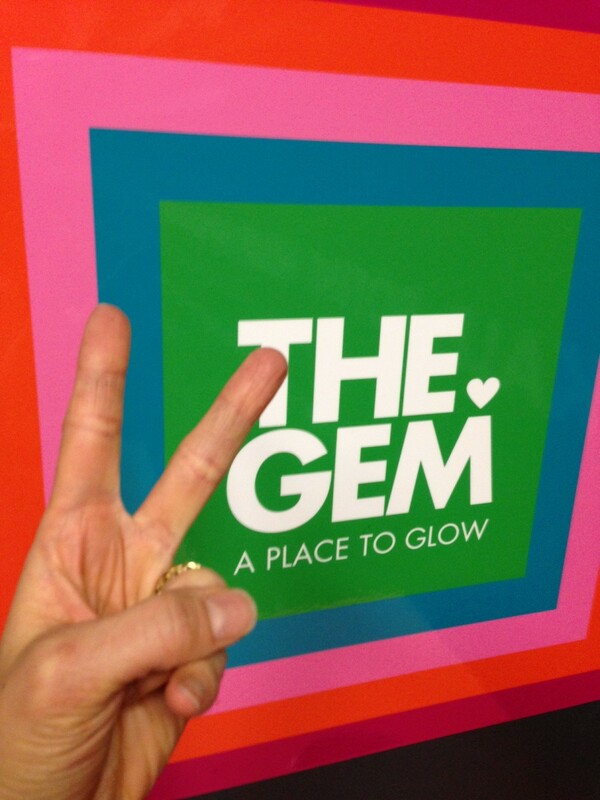 We GEM Girls live that every day and we want to make it easy for you to do the same. 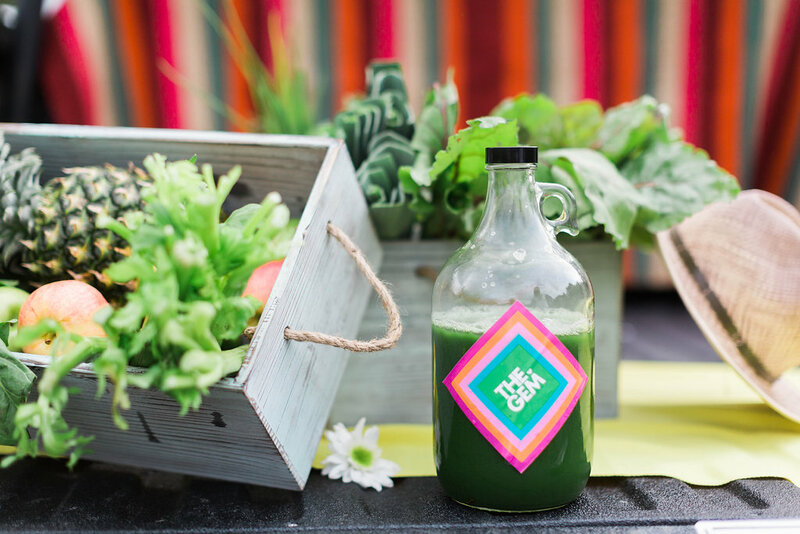 We’ve created an active lifestyle program filled with organic juices, detoxifying whole foods and snacks that heal, sustain, cleanse, make you look good and your body feel FABULOUS! Pop these items in your (GEM) bag and go! Soooo … What’s in your GEM bag? These 3, 5 and 10 Day GEM BAG Juice and Food Cleanse regimens are based on a whole food, plant based diet and combine salads, juices and soups enhanced with rich proteins from seeds, grains and beans. All meals, juices and snacks provide extra calories and protein along with ingredients perfect for detoxifying and weight-loss. Every meal is planned for! No thinking, no hunger. Practice a Whole food, Plant Based Diet and be ready for your new lifestyle! 2 levels, for those who want MORE GEM GOODNESS, there is more to eat! Want just a little bit more GEM Goodness? Too much going on to skip eating – The Juice ’til Dinner cleanse is easily incorporated into a hectic lifestyle – five organic juices for the day plus dinner. It can be a great way to kick off a healthy diet plan or as a weekly reset button to keep weight off, energy up, and the body and mind healthy. Like extreme workouts? Like to eat? Want a softer step into healthy? This GEM Bag Cleanse is perfect for anyone with an active lifestyle or who needs a little guidance to the doorway of clean eating and detox. With this cleanse, you can continue your activities as you like—except of course, for the processed foods, animal protein and alcohol. NOT alkaline. This is an excellent way to learn how to eat a whole food, plant base diet. Or just a great way to feel and look good! This Cleanse offers more protein and more energy. Included are two whole food GEM meals, along with four organic GEM juices, one Hail Merry snack, one power shot, and nightly CALM tea. HOW YOU CAN DO IT: RESERVE YOUR NEW GEM BAG CLEANSE FOR NEXT WEEK. Your body will thank you! HOW WE DO IT: Your meals and juice cleanse or juice cleanses are clearly labeled with the order we recommend to eat or drink. We offer email support before and after your cleanse and bright smiling faces all along the way. THE GEM DIFFERENCE: Organic, cold-pressed juices AND whole-food vegetables, herbs and spices give your body juices, snacks and meals filled with protein and fiber helping to cleanse your body. Allergy information: We have no dairy, wheat or gluten in our meals. Special considerations can be made, just ask! This entry was posted in Detox, Food Secrets, Happiness, Health, Juice Cleanse, Juicing, Organic and tagged clean living, Detox, Happiness, healthy eating, healthy living, new year new you, organic food, organic juice, organic juice cleanses, The Gem, the gem juice bar on January 20, 2014 by diamondsonyourinside. December is a crazy month of parties, fun, stress, eating, drinking, the list goes on and on. You may think there’s no point in a cleanse before the holidays. In fact, it’s almost a must that you cleanse right now. You may believe cleansing as a short, intense retreat into super-restricted eating that you do after lots of binge-ing. This doesn’t have to be the case. It can be a daily practice. There’s no wrong season for clean eating. Daily Cleansing is a great way to get you through the holidays without taking on excess toxins and destructive eating habits. Rid your body of the toxins that stimulate cravings. It’s hard enough to turn down all the sweets, eggnog and mashed potatoes – you certainly don’t need your body begging you to gorge on this stuff. Create a healthy balance. You don’t need to feel completely restricted when you are cleansing. Your body can recover from a few cocktails or a piece of cake if it’s coming from a place of optimal health. Keep you feeling in control. There is something very empowering about having a regimen of clean eating. Mindfulness of it all can be an incredible weapon in your quest for vibrance. Many people are scared to commit to cleansing right now because you think you have to miss out on everything that is fun and social. That is simply NOT true. Yes, a full GEM juice cleanse is amazing and makes you feel like a million bucks, but that doesn’t always fit into our social schedules. 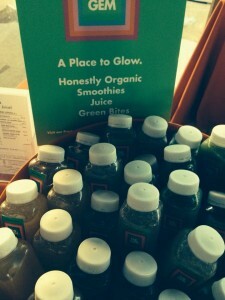 Try our Juice til Dinner, or even doing a day in the life of a GEM. The menu below is how we roll on a daily basis. You can live a cleansing lifestyle and still enjoy delicious, tasty food. FIRST THING UPON WAKING: 32 oz. filtered water with lemon and take a Bio Kult probiotic and Nordic Natural Ultimate Omegas. If you are staying in, consider Arugula and Mushroom salad and some hummus for dinner. Alongside a chopped veggie salad. The food is so vibrant and nutrient dense that you cannot over do it. Keep a Small 3 Bean Salad or small quinoa in your fridge. Eat it before you go out to your cocktail party. This will help keep you satisfied and eliminate the crazy craving for too much bad stuff. Stay away from the puff pastries, the cheese tray, the pasta. Find the shrimp, the veggie and hummus platter, the sushi. Once you’ve had one type of appetizer, don’t revisit it. You know what it tastes like, now stop. Really try to keep the alcohol to a minimum. 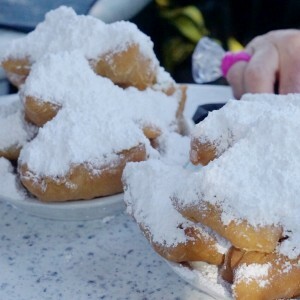 Your sugar levels spike and your willpower plummets. You don’t have to completely restrict yourself to feel good in the morning! This is a great way to keep your cravings in check or bounce back after last night’s office party. Remember the party is about the socializing and friendships. Save the whale feeding for another time. Don’t put this off until the New Year. Take charge of your life now. Indulging isn’t about throwing all caution to the wind, it’s about finding balance. You can have both during the holiday months. Make this holiday your happiest and healthiest and GEM~miest yet. This entry was posted in Detox, Health, Juice Cleanse, Supplements and tagged biokult probiotic, cleanse, healthy eating, healthy eating at holiday parties, holiday binging, holiday eating, holiday health, holiday wellness, juice cleanses, Nordic Naturals, organic food, organic juice, the GEM juice, the GEM juice cleanse on December 10, 2013 by diamondsonyourinside. 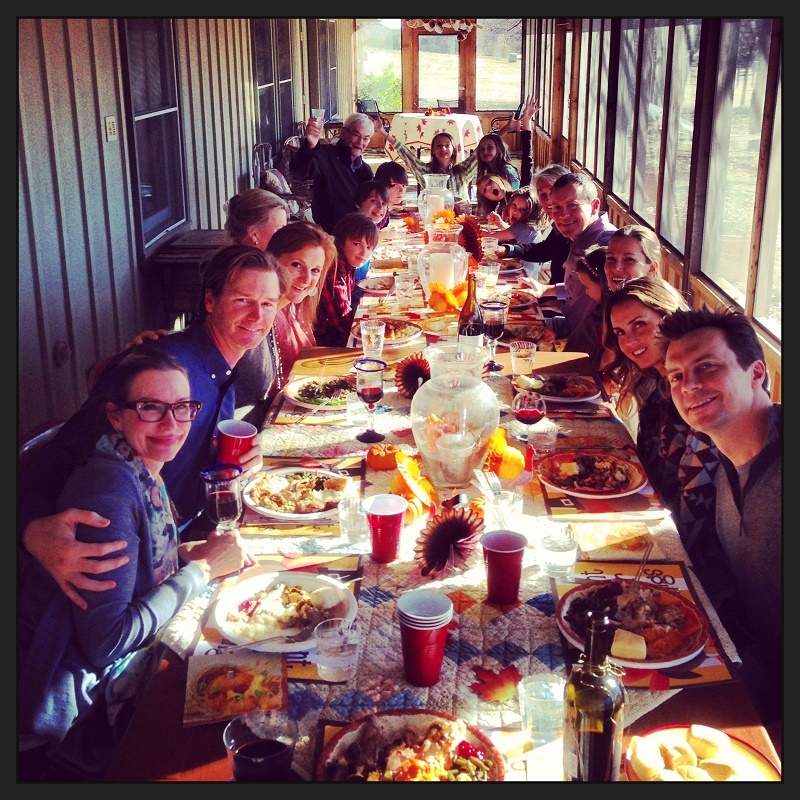 We all want a Disco, Happy, Healthy Thanksgiving right? It can be an energizing, inspiring holiday if you let it be – one of thanks (duh), gratitude, friendships, yummy foods, family. An all nourishing kind of day – the body and soul. It can also be a draining, heavy, toxic holiday. One with over-indulgence on food and booze that leave you feeling bloated and depressed. And it gets worse. You let energy vampires disguised as aunts, uncles, siblings, etc., swoop in topped with nonsensical family traditions. Do it yourself. Make sure you have at least two clean sides for Thanksgiving. It may mean you bring them yourself—which is even better! Alice Waters, Rozanne Gold, Mark Bittman, they all have amazing cookbooks that will rock your world. GEM Hummus with veggies, Hail Merry Royal Blend nuts (conveniently available at The GEM). Shoot, come pick up a few of our arugula & mushroom quinoa salads and tell everyone you made it yourself!! It’s a PERFECT fall salad. 100 Days Of Real Food has good, clean recipes and is an amazing resource to feed your family better. Dreena Burton of Plant-Powered Kitchen has a few recipes on her site. Center yourself. The holidays, even with all their glitter and excitement, can be emotionally draining. Family dynamics, loneliness, financial issues, and just the intense insanity of it all can be overwhelming. Take some time for yourself the night before by drawing yourself a nice warm bath with CALM Sports bath and lavender oil (Epsom salts can work too) or do what I do—excuse myself to my closet for some deep breathing with a few key stretches before the festivities start. Allow yourself to decompress. It’s ok. We need to take care of ourselves first! By nurturing yourself and taking time to get centered, you’ll be able to steer clear of bad choices and emotional eating. Prep yourself. Start your morning with 32 ounces of filtered water followed at least 30 minutes later with a vibrant green smoothie with a couple of tablespoons of raw Happy Hemp seeds. (1/2 frozen banana, 1-2 cups spinach, ½ cup blueberry, ½ cup frozen cherries, 2-3 T of raw hemp seeds, 1 cup water). I SWEAR it will make your day go better. Plus it fills your body with satisfying nutrients that will help you make better decisions for the rest of the day. Don’t be hard on yourself. Thanksgiving doesn’t always have to be a day of over indulgence. But, let’s also be realistic … stuffing happens. Pecan pie and whipped cream happen. If you do go deep off the wagon, you can always get back on that vibrant, healthy band wagon again. Plan to get back on track as soon as the last turkey sandwich is served. Even better, schedule a 4-Day GEM Cleanse to exorcise the gluttony demons and be back brighter than ever! This entry was posted in Detox, Happiness, Health, Juice Cleanse and tagged 100 Days of Real Food, Alice Waters, feed your family well, feed yourself well, Happy Thanksgiving, Healthy Thanksgiving, Mark Bittman, Rozanne Gold, The Gem, the gem juice bar on November 22, 2013 by diamondsonyourinside. Posted on March 18, 2012 by diamondsonyourinside	and currently has 1 Comment on Be a GEM, Cleanse. 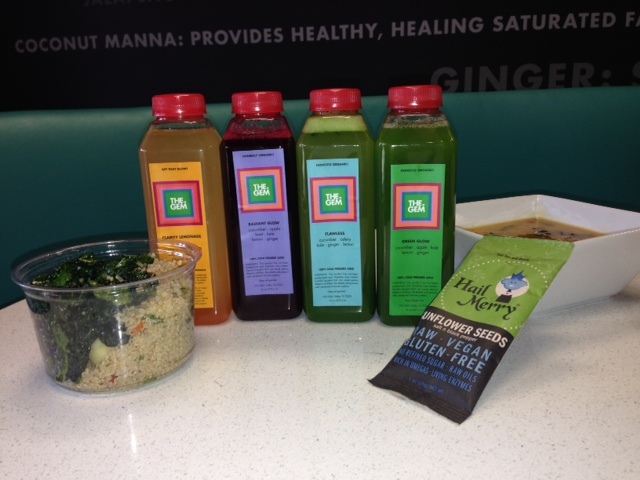 THE GEM 3 DAY JUICE CLEANSE. 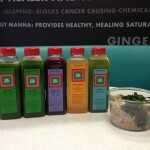 The success of your cleanse is dependent on doing it right. It is important to stress that while you are doing a great thing for yourself by drinking juice in place of meals, however, WE AT THE GEM, cannot do it all for you. THREE FACETS OF A SUCCESSFUL GEM CLEANSE: WATER, REST, ELIMINATE. Hydrate. Drink at least 8 glasses of filtered water a day. Wake up with 32 ounces right off the bat. Additionally, take a probiotic every day to keep your intestines balanced and to help replace the good bacteria that your body needs. Rest. We suggest going to bed as early as possible if your schedule permits. Most people find they get tired earlier than usual. Eliminate. It’s almost counter productive to do a cleanse if you don’t help expedite the release toxins from your system. Ummmm. We are all friends here, so, colonics or enemas are a safe way to flush out years of built up toxic waste along with toxic liver bile, gas, and even parasites. Most of us are full of it anyway (insert smile & wink here) and have unnatural substances that take a some extra effort to release, thanks to our modern, not-so-healthy diets. If a colonic scares the sh*t out of you, use an herbal laxative (Traditional Medicinals Smooth Move tea or capsules), to aid in this process. Other great ways to eliminate toxins: Dry brush each morning before you shower to shed dead skin cells. Massage can get the lymphatics moving. Meditate (toxins are also in our thoughts). Slow Down. Tone down your usual exercise and keep hard-core cardio to a minimum, but definitely do something each day to accelerate your lymphatic and circulatory systems. Headaches, dizziness, fatigue, constipation, runny nose, skin blemishes and nausea. Maybe one, maybe none, maybe all. Your digestive system gets some much needed time off and your radiant body gets to work on other things: releasing toxins and adjusting to the clean nutrients it is being gifted. There is no need to worry- in fact, although unpleasant, symptoms are often a good sign. If you are experiencing some of the symptoms, drink an herbal tea that can help combat them naturally but DON’T take any over the counter chemicals.Oh, and no gum or mints while cleansing. They promote the release of digestive enzymes and makes you hungry. Significant Craving Loss for caffeine, nicotine, alcohol, sugar, and junk foods. This entry was posted in Happiness, Health, Juice Cleanse and tagged Detox, Juice on March 18, 2012 by diamondsonyourinside.